To find out more about this church visit Simon Knott's excellent website at www.suffolkchurches.co.uk. 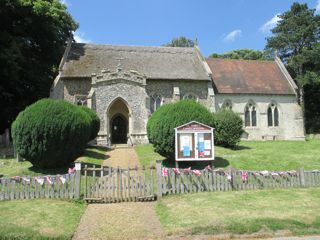 Please note, this church is in the middle of nowhere and is actually over a mile from Coney Weston village itself. Space to park is available at the side of the church. The GPR holds 152 grave and 291 person records for the burial ground.